Welcome to our weekly BlogPaws speaker series in preparation of the 2018 BlogPaws Conference in Kansas City, MO. Each week, we feature a different speaker so that you can get to know them and learn what their session is all about. Be sure to also tune into our weekly Facebook Live on Wednesdays at 4pm EST on the BlogPaws Facebook page. If you can’t attend live, no worries! You can always catch the replay at any time on Facebook or right here on this post. This week the spotlight is on BlogPaws speaker, Jamie Migdal, CEO of FetchFind. Jamie has been working with dogs and their people, and innovating within the pet industry, for 25 years. Jamie’s workshop, One Paw in Front of the Other: From Pet Industry Influencer to Pet Care Professional… and Beyond takes place on Wednesday, 4/18 at 12pm. You can signup for her session on our interactive agenda. There are endless opportunities in the ever-changing $70B pet industry. Are you thinking about tomorrow? 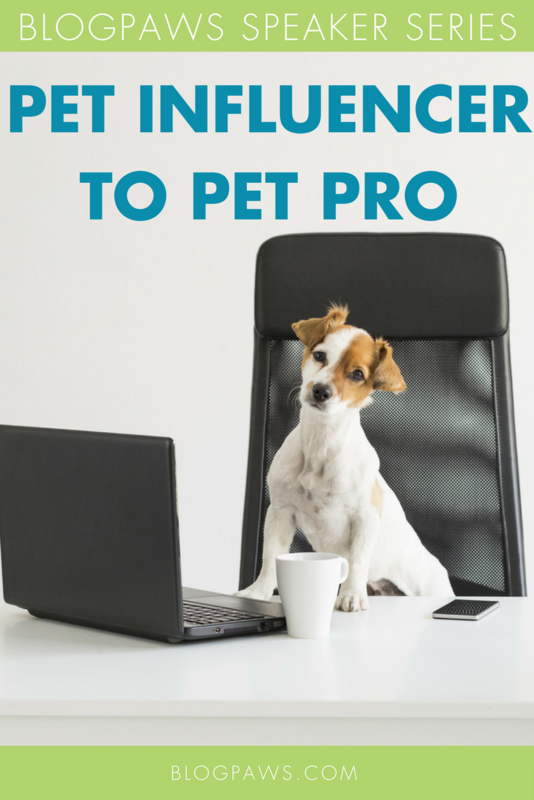 Your current role as pet industry influencer can lead to any number of new entrepreneurial opportunities such as in-home pet care, animal training, behavioral counseling, animal facility management, or animal welfare, just to name a few. Join FetchFind CEO and pet industry entrepreneur Jamie Migdal, CPDT-KA, as she offers innovative suggestions, approaches, and tactics to challenge you to look at your future path and what you can be doing today to prepare for tomorrow. Part of the program will be spent as a workshop format in which Jamie will guide participants through a pet career interest exercise. Facebook Live: Watch the Replay Here! In case you missed it, catch the Facebook Live interview here with Jamie Migdal and Aimee Beltran. Aimee Beltran is the Director of Community Education for BlogPaws. She also writes two blogs, Irresistible Icing and Irresistible Pets with her Chihuahua, Chuy. Aimee is passionate about her mission, “create an irresistible life you can’t resist!” She loves anything with glitter, kayaking, and spending time at the beach. The post BlogPaws Speaker Series: From Pet Industry Influencer to Pet Care Professional appeared first on BlogPaws.